If you had attended the 1969 24 Hours of Daytona or had read about it in your local paper the following Monday the results of that event might have elicited a phrase such as Heavens To Murgatroyd! While that phrase might not be familiar to today’s younger generation, it was certainly familiar to young people in 1969 who might have been fans of the Yogi Bear TV show or to their parents who were familiar with a 1940’s era movie star by the name of Bert Lahr. His best known role was that of the Cowardly Lion in the classic movie The Wizard of Oz. On the track that Sunday afternoon when the checkered flag dropped at 3:08 pm the comments wouldn’t have been as mundane. I won’t repeat in this publication what I overhead that day since this is a family-friendly publication. This was a race that saw the unexpected happen. The mighty Porsche factory team that finished 1-2-3 at Daytona in 1968 would see all five of their Porsche 908’s fail to finish. The two Ferrari-killing Ford GT40’s of John Wyer Automotive also failed to finish. The winning car that outlasted these titans was the Eric Broadley-designed Lola T70 Mk. IIIB entered by Roger Penske and driven by Mark Donohue and Chuck Parsons. Another Lola T70 Mark III came in second and this one was entered by none other than actor James Garner and his American International Racers (AIR) team. An ACTOR! Who would have “thunk” it? I think I am getting ahead of myself in telling this story. It all started out normally enough in 1969. There was the annual migration in late January of racers and sports car fans to Daytona Beach for the first big international endurance race of the year, otherwise known as the 24 Hours of Daytona. On the beach side of the city of Daytona the main artery, known as A1A, was clogged with exotic automobiles like Ferraris, Alfas, Cobras, and Lancias with a sprinkling of MG’s, TR4’s and the usual assortment of domestic iron from Ford and Chevrolet. The race fans driving some of those “furrin” cars were quite different from the race fans who normally come later for Speed Weeks and the Daytona 500. These “Furriners” and “Yankees” sported longer hair and sideburns and wore what some called modish fashions. There were also the young women with their long hair, short skirts and boots. And some of them even wore cut-out dresses that exposed great expanses of the female anatomy. No doubt more than one resident senior citizen had to be treated for neck problems. Why? From all the head twisting and turning in an attempt to get a better view of the young ladies walking by the tourist shops and head shops on Main Street. At the Daytona Speedway in the last week of January the infield was already filling up with every imaginable kind of van, trailer and tow vehicle. Racers and course workers alike were already staking out a spot for their rental trucks, cars, tents, canopies and other equipment. Those on a limited budget (which included many racers, fans & workers) either planned to sleep in their cars for several days or slept outside in sleeping bags placed on aluminum lounge chairs. This could present a problem for some because Daytona in January and early February can get a little chilly. Thick damp fogs have been known to roll in off the Atlantic Ocean making life miserable for all concerned and racing on the track extremely dangerous. The talk at the track in 1969 was whether Porsche would repeat its 1-2-3 finish from the previous year and prospects for this looked good. The factory had brought over five Porsche 908L’s that were only slightly different from the previous year’s winners except with larger engines (2.2 to 3-liter) and different spoilers. The “L” designation (some prefer LH) stood for Langheck or long tail. Porsche had experienced problems with the shorter body 908 when at speeds in excess of 190 mph the tail began to lift. The longer body and new rear spoiler gave them the downforce needed to correct that problem at high speed tracks like Daytona and Le Mans. 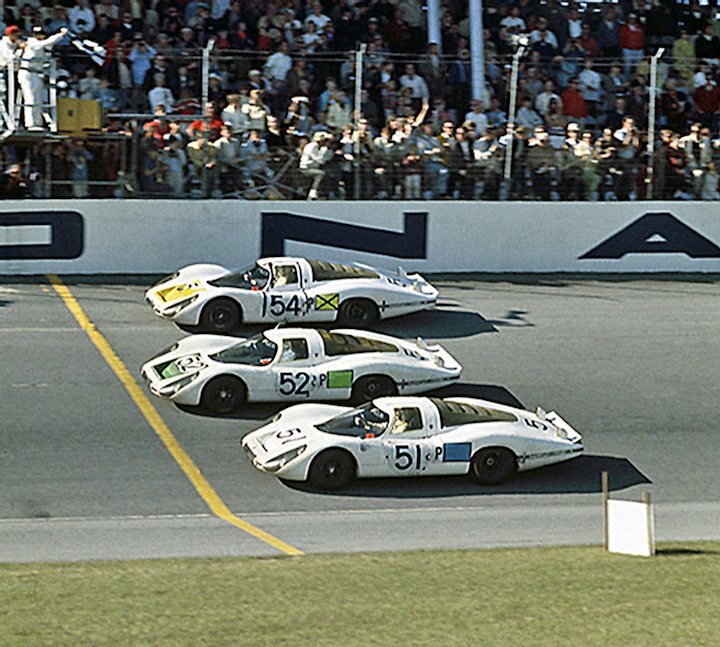 The Porsche 1-2-3 finish at the 1968 24 Hours of Daytona. Coming in first is the #54 Porsche 907 of Vic Elford and Jochen Neerpasch. Second is the #52 Porsche 907 of Jo Siffert and Hans Hermann. In third place is the #51 Porsche 907 of Jo Schlesser and Joe Buzzetta. Line-up of factory Porsche 908Ls at the 1969 24 Hours of Daytona. The ‘L’ or as some prefer ‘LH’ designation refers to the term Langheck or Long Tail. The 908’s at Daytona in 1969 had slightly larger engines, longer tails and different spoilers for increased stability at high speeds. The factory Porsches were the overwhelming favorites to win the 1969 24 Hours of Daytona. Thanks for the Christmas present…lovely story and pictures. Wonderful story….certainly much better detailed with insight compared to Road & Track reports of the day….which usually came 3 months later in the mail ! 2.) More correctly, John Wyer’s operations were in “Slough”, not really in London. 3.) Pretty much the full armada of the 5 908’s suffered the very same intermediate shaft failure. I believe it was team manager Rico Steinemann ( taking over from long-time Baron Huschke von Hanstein) who was supposedly quoted as saying..”I guess Porsche does not make very good intermediate shafts. These are some of the reasons Porsche goes racing, to improve components. ” In fact, I think these were aluminum and were indeed later changed to steel. Hmm…even spin doctors back then ! Thanks for such a vivid account of the race, told as only someone close to the sport could. My earliest racing memories were about the same time, so it’s great to hear trackside reports like this. Photos are great, but the words are king! Enjoyed reading the story, and always like photos from you and Fred. Great summary of the events that took place, it caught us all by surpise that the Porsche or the Wyer GT40’s did not finish…. It is really an amazing article for a great race with an incredible field. I could not stop reading the story before the end. The photographs are gorgeous, as the cars are too. Congratulations and thanks for that. Many thanx Louis for this piece of history ! Thanks for a great story, and great photos (esp ‘hello’ to my friend Fred Lewis)This was the golden era of sports car racing. Another great Louis Galanos story. Fabulous details and pictures. Between you and Fred, there are some great shots. Thank you for writing it, and for Sports Car Digest for playing Santa and delivering this, just in time for Christmas. But I think Will Ferch is right about Heavens To Murgatroyd! Another fantastic return to the great years of “sports car racing”. With your descriptive writing, you could omit the photos….. But don’t you dare ! Yes, I remember reading the Philadelphia newspaper sports pages on the Monday after the race and being amazed at the victory. I may have said this before, but I think this particular victory did a lot for the reputation of Penske racing-it was against a strong field in an event with a big international reputation. For me, it was impressive as it was a LeMans-type race against cars that I was well familiar with from slot car racing! In the 60’s I vacationed in Florida in March to attend the 12 hours of Sebring. However, in 69, my wife was expecting our firt child and the Doctor ruled out traveling in March. However, the Doctor approved traveling earlier so we attended the Daytona 24. We didn’t rent a motel so we slept in the car that night. The wife made it through the night just fine and cheered her favorite driver to victory the next day. Therefore,the article brings back a fond memory. That anonymous comment is from me (forgot to list my name). My wife said you might not take it as a joke so no offense intended. Best wishes. No offense. We both thought your comment was quite humorous as we look back on it now. She says that the back set was not very comfortable. I’m looking forward to more articles to be able to relive memories. Louis and Fred have done it again. Great article. Spectacular pictures. What a treasure you all have tucked away. I hope you all will get more published. Next let’s hear about the ‘water in the fuel’ BMW CSL win with Gregg, Redman and Fitzpatrick. Another great article from SCD and the photos were fabulous. Kudos to the author and photogs. Hopefully there will be more from the author in the future. Small world, isn’t it, because of the ‘net? Thanks for the kind words from e-mail pals Ed, Nathan and Arthur. I had the pleasure of meeting Lou and Wilma at Daytona in November. As a retired teacher I assumed Lou’s subject was English since all his stuff is so well written. No, Wilma was the English teacher and she proofs the articles, he said. Having good material makes proofing easy, I’d think. And, probably entertaining for Wilma since she was there as a corner worker along with Lou. Two sets of memories can make for more details to enhance readers’ enjoyment of remembering what it was like then. Marvelous job by all. Is it just me or is that a really fast Ford station wagon in the pace lap photo? Ha. Very interesting article, congrats for it and for the photos! As always, excellent ! Limpid text and original pictures, thank you ! 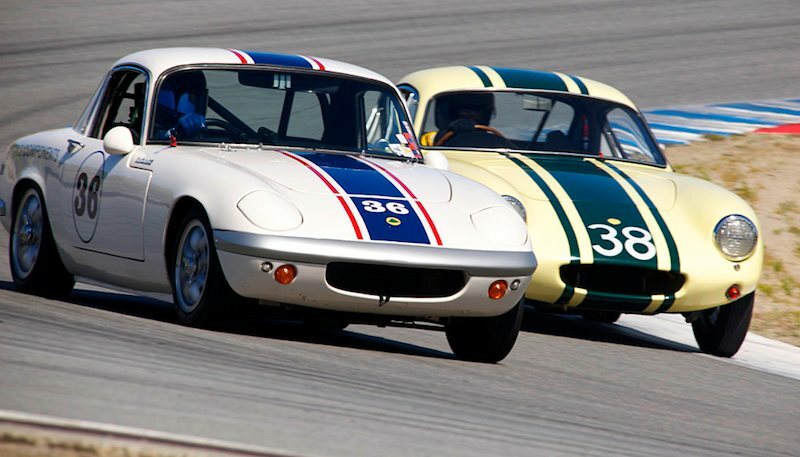 A great story from a great era in sports cars and motorsport. 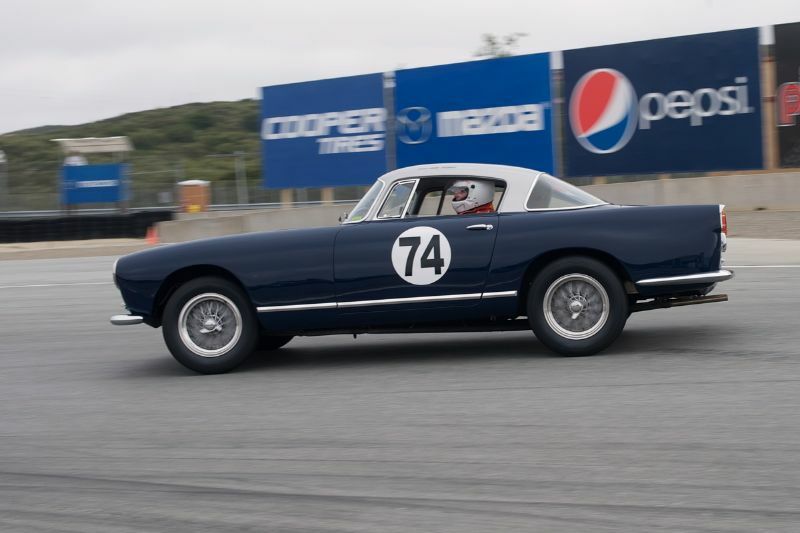 I have a great fondness for endurance racing and stories like this preserve it for later generations to enjoy. Jorge: If memory serves me correctly the design of what we remember the 917K looked like was a result of stealing design ideas from Eric Broadley’s Lola T-70 Mk.IIIB and then having John Wyer Automotive adapt and improve on those ideas. The Ferrari factory stole design ideas from both the Lola and 917 for their 512M. Alas, it was too late to help Ferrari win the championship. If they had had only one more year. Great Article! I enjoyed it very much and the pictures were great…one of ‘the Captain’s’ best victories. My father’s (Jon Ward) car, is pictured. I remember the stories my brother told me of running and dragging a floor jack around the parking lot in the middle of the night looking for a late model camaro to steal a rear end out of! They found one (luckily the right gear ratio) and left the car on stands with a note. Everyone burnt their hands getting the failed rear end out (apparently it was nearly glowing red) and the whole process took about 45 minutes. Thank you Louis and Fred !!! Wonderful story and photos !! This was the first race I ever attended, thanks to my incredible father. I was immediately awestruck, and knew then and there that i would race cars….and I did, even at Daytona. So wonderful memories for me, and thanks again to Louis and Fred ,and SportsCarDigest for publishing this about a GREAT era of racing.